If you're a whisky enthusiast with a special interest in the art of blending and/or Japanese whisky in general, and - like so many people during this excruciatingly hot and humid summer - are suffering from natsubate (summer fatigue), I've got the answer for you... well, for a few hours at least: seek out the "Professional: Whisky Blender" DVD. 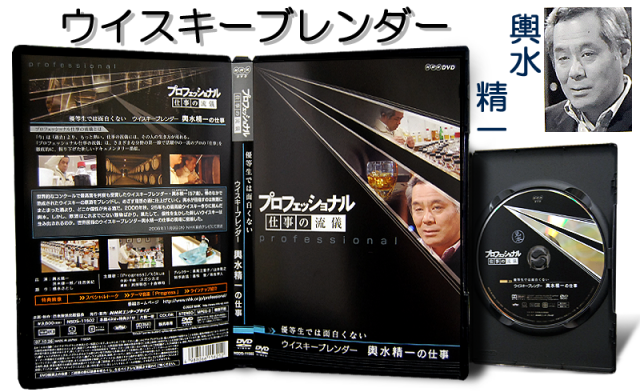 The main feature on the DVD is a portrait of Suntory master-blender Seiichi Koshimizu and was part of NHK's series "Professional". 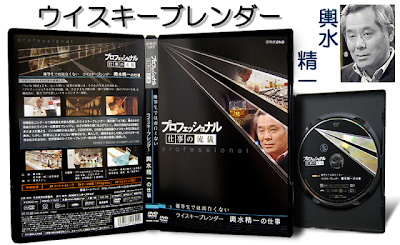 The DVD contains the entire episode as broadcast in 2007 plus a half-hour long interview with Koshimizu-san. There's good news and bad news: the good news is that it is the most eye-opening whisky documentary to my knowledge; the bad news is that there are no English subtitles so a certain familiarity with the Japanese language will be necessary to appreciate the finer points. That being said, Koshimizu-san is not exactly a chatterbox so even people with rudimentary Japanese will be able to take something away from it. 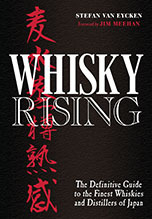 The bulk of the episode takes place at the blender's lab at Yamazaki distillery and follows the making of the Hakushu 25, which was released in March 2008, a few months after this documentary was shot. It really is like a peek into the mind of a master blender. I don't want to spoil the fun too much, so you'll just have to watch it for yourself. That Koshimizu-san is a busy man - he says in the extra interview that precisely because whisky matures in the calmest and quietest way imaginable, the blender has to do his work with an acute sense of urgency - is clear from the rest of the documentary. He's the first one to arrive at the Yamazaki distillery (when he's there) - for you stalkers out there, at 7:04 in the morning. His work also takes him pretty much all over Japan, and abroad as well: we follow him to the Hakushu warehouses in Yamanashi, to the forests of Hokkaido selecting mizunara trees, to a Ginza (Tokyo) bar where he submits his creations to the bar owner, his long-standing guinea pig, to the Suntory headquarters where vice-president Mr. Torii reviews his work on the Hakushu 25 and to the International Spirits Challenge in London. Most importantly, though, the documentary takes you inside his mind. It's fascinating beyond description. If you just get one DVD this year, let it be this one. 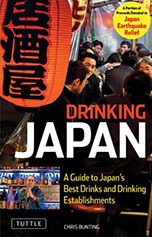 It's also worth noting that Koshimizu-san has just published a book, boldly entitled ウイスキーは日本の酒である (Whisky is Japan's liquor, 2011). It's available for a mere 700 yen in Japan and just waiting to be translated into English. Suntory? Wink, wink, nudge, nudge.